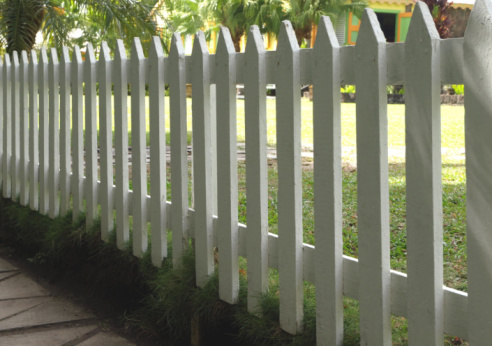 Which type of fence is right for your home? Choosing the right type of fencing for your property can be somewhat of a challenge. What are the right elements that need to come together to create a fencing solution that is both secure and aesthetically pleasing? With the right help, you can have it all. Are you ready to learn more? Let’s take a look. Figure out what you need. What does your fencing solution need to succeed? Do you want something highly fashionable or is security more important to you? Do you want something that you can care for and alter as you please or is a low-maintenance solution more your speed? Before you can purchase your fresh new fence, you need to assess your needs. That way, when the time comes to spend, you are ready to factor out which fence will suit you best! As you think about the kind of problems that your fence will address, you should consider the two most popular fence options: Vinyl and Wood. A vinyl fence will provide a crisp, clean look without the need for a lot of care. They’re quite sturdy and fence parts are easy to replace. Wooden fences, on the other hand, offer a rustic and beautiful look. They require more care, but they can be stained and painted if you’re looking to create a specialized look or a changing one. The versatility of wood makes it a highly attractive option for those of you who have more time to spend in maintenance. As far as security goes, wood may offer more privacy. However, both fencing options can be built high enough to keep your perimeter safe. This entry was posted on Friday, August 12th, 2016 at 6:58 pm. Both comments and pings are currently closed.